Here is something that might be of interest to Nokia fans anxious to get their hands on the latest smartphones introduced by HMD Global earlier this year. 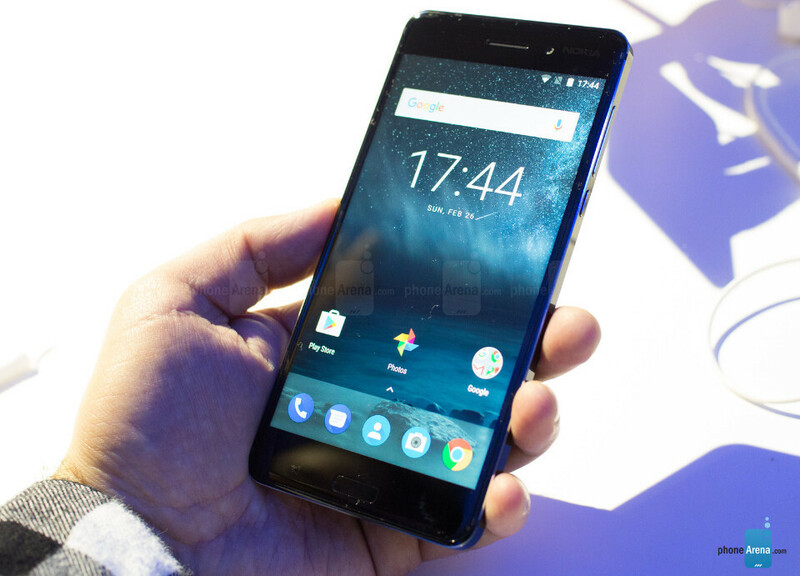 Nokia 6, the first handset HMD made available on the market (China only), will have different global variants that are supposed to hit the shelves in early August. Even in China, two Nokia 6 models are available for purchase, but they're not different when it comes to hardware. The only difference between the TA-1000 and TA-1003 versions is the fact that the latter comes with Google services, whereas the former doesn't. However, when it comes to the global version, there are plenty of differences that we'll most likely talk about as soon as they arrive on the market. Until then, here is one that we didn't know about, but was recently confirmed by HMD. It appears that the global version of Nokia 6 will not come with the notification LED that's included in the Chinese models. Neither of the four Nokia 6 models (TA-1033, TA-1039, TA-1021, TA-1025) will have this feature added. HMD said they had taken the decision to remove the notification LED after doing some research, which means that customers outside China might not be so attached to this feature. When it comes to your inquiry about the removal of LED from the global version, please be aware that in regards to global markets, due to specific research, a decision has been made about the removal of the LED. The notification LED usually makes things easier for someone that is using different communication channels (SMS, messaging apps, email, phone, etc.). That LED would have helped you avoid checking the phone every 5 minutes to make sure you haven't received any messages that you must reply. Still, the lack of a notification LED shouldn't be such a deal-breaker for Nokia fans. whoever buys a Nokia running Android is scammed! Whoever believes what you're saying is scammed. 'whoever buys a Nokia running Android is scammed!' How do you come to such conclusion? Do you guys feel like buying a Nokia Android phone? I was a big fan of Nokia phones from Finland back then. But as of the moment I'm not just feeling them. No interest from me. Especially because they look like dinosaurs. Yes, I do, and I am. Been a fan of Nokia since their Symbian days, and that's not going to change now. I'd honestly buy the Nokia 6 if it had a bigger battery, so I'll just watch and see what will show up in the future. Not a deal breaker for me in the least. But my existing Android phone has notification led and i have growth attach to it. I only check my phone when the led light up. Yeah the notification light is important to me. Android is software, Google is too lenient with OEMs. Asia will always be given special privileges, especially if it is a Chinese phone, then they will get software updates first. looks like they want to follow Lenovo/Moto in that. Its really annoying to pick the phone and unlock every time just to check notifications!! OEMs don't get it, do they? i will let lt pass, though wanted to buy one, already the SOC is old and outdated. I need the led notification. Cant unlock my phone every time to check for notifications. What an absolutely stupid idea, that's the number 1 feature a mobile should have. & what specific research? Agree 100%. I'm beginning to wonder about the type of people who run some of these tech companies. Google and their clusterf*cked messaging apps and now HMD and no notification led. Old Nokia used to be good. This new Nokia is shooting itself in a foot with such stupid decisions. Many people use notification light, but even if you don't use it that much it's always good to have an option. The longer we wait in Europe for Nokia 6 the lesser appealing it becomes. From huge delays to hardware decisions like that. Just ordered nokia 6 for my mother . Guess I'll just stick with Samsung phones then. Was interested in checking out Nokia's hmd offerings but I use the notification light. Everybody uses the notification led. Some people even install elaborate apps to control them. So they even have less need to turn on their screens to know what's going. Notification led is a must for me. So these idiots do an enquiry in China and decide on that enquiry that people NOT in China don't want an notification led?!?!? Please remind me NOT to buy a phone from these morons. "...Still, the lack of a notification LED shouldn't be such a deal-breaker for Nokia fans..." Yes, it IS! Every Nokia had a notification led. Most (Symbian) models had it in the home-button. Instead of making users less depending on switching on their screens and thus save battery, these idiots do the opposite. If these phones come equipped with amoled screens and provided they have something like Nokia's own "sleeping screen" THEN this isn't a deal breaker.